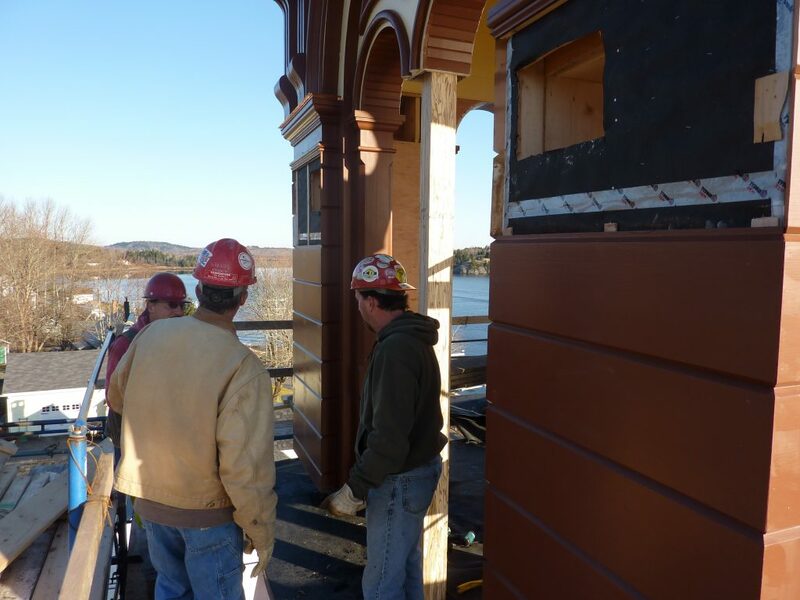 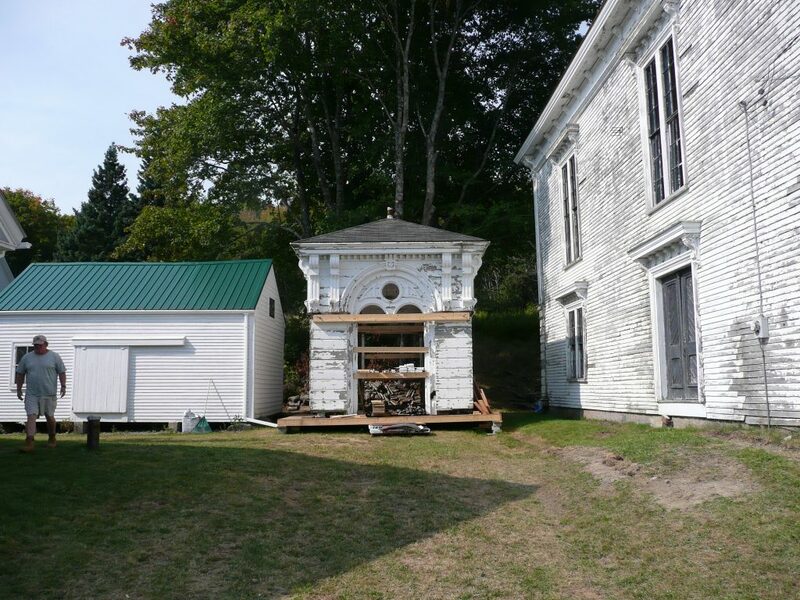 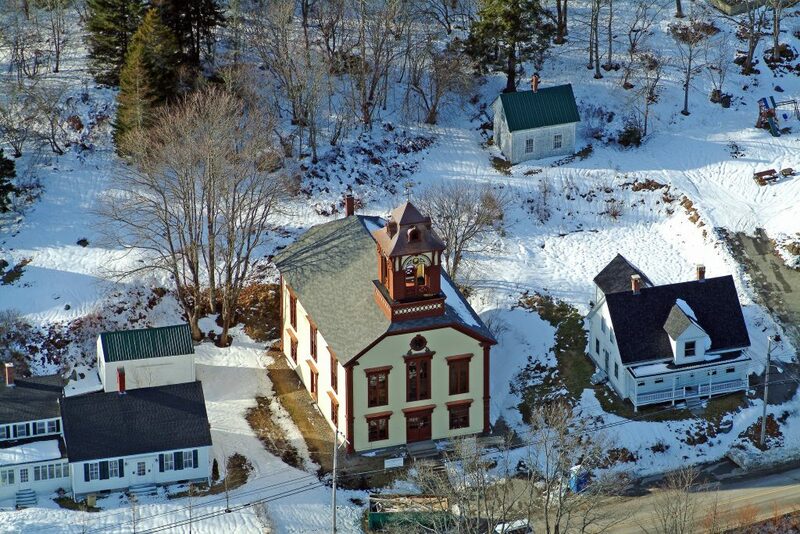 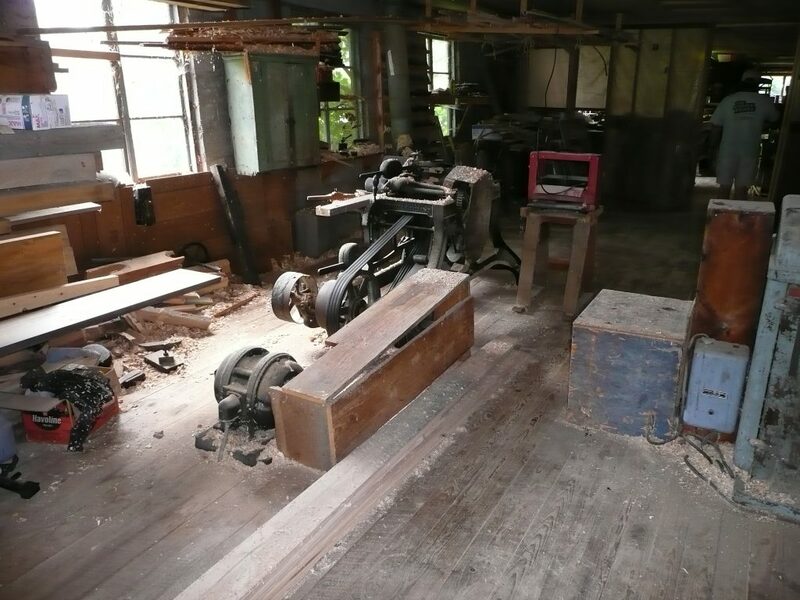 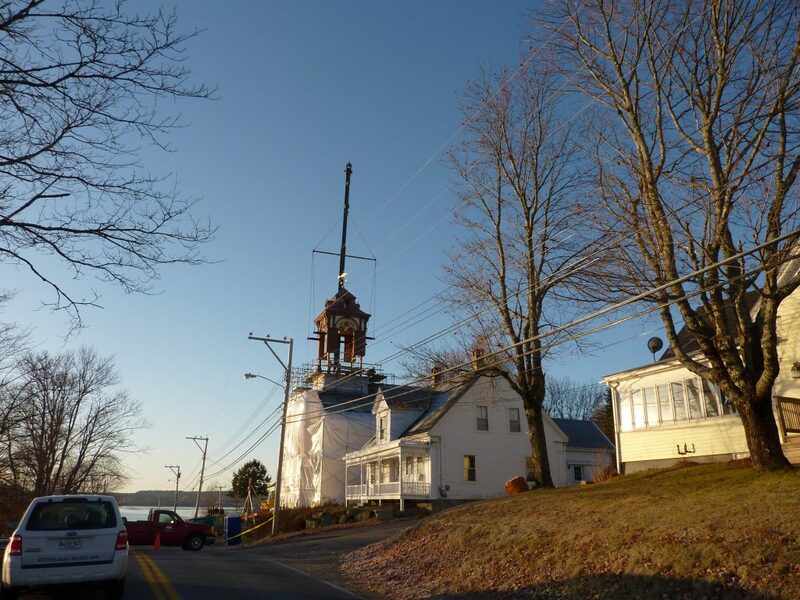 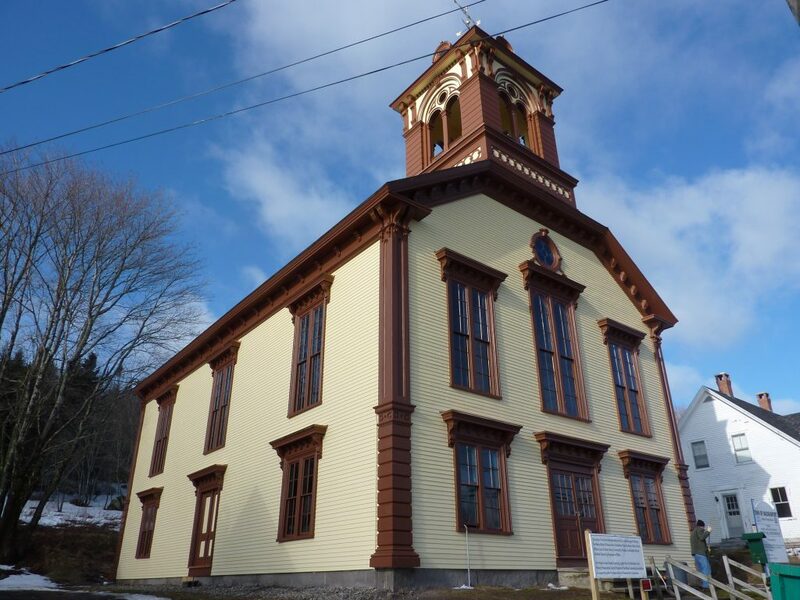 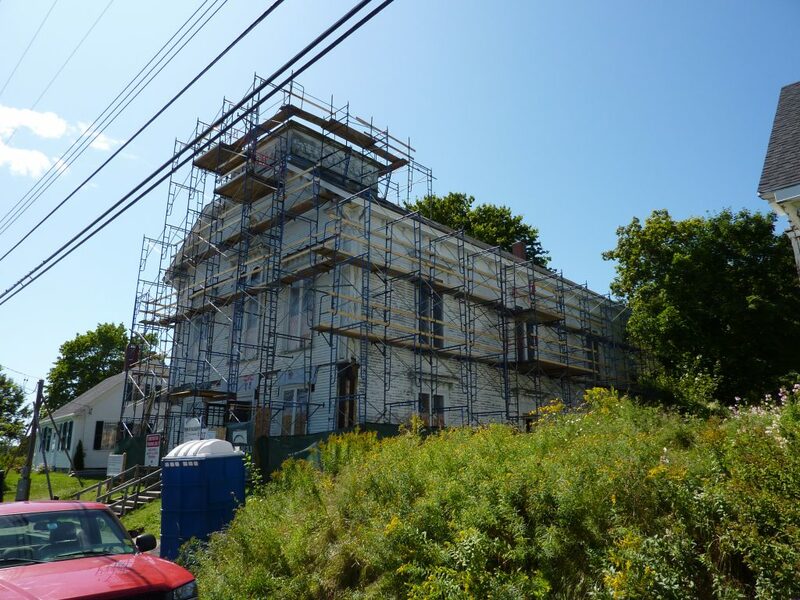 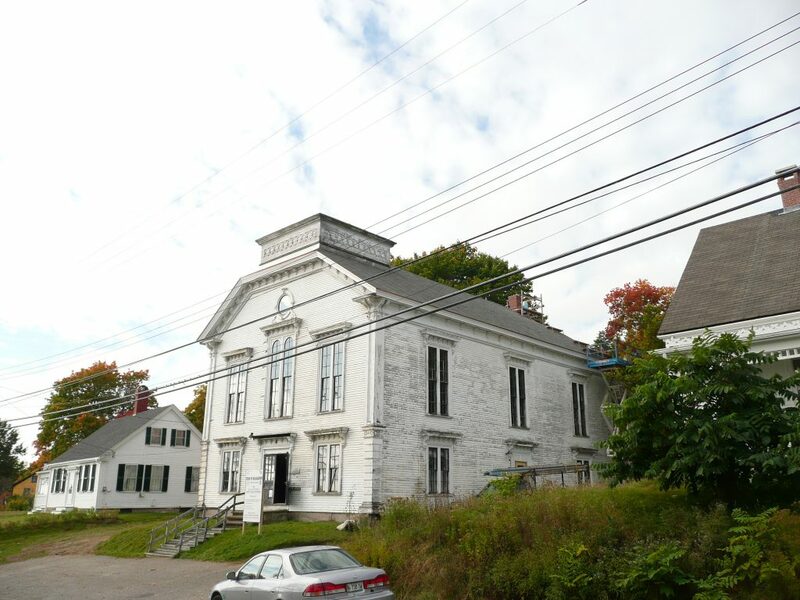 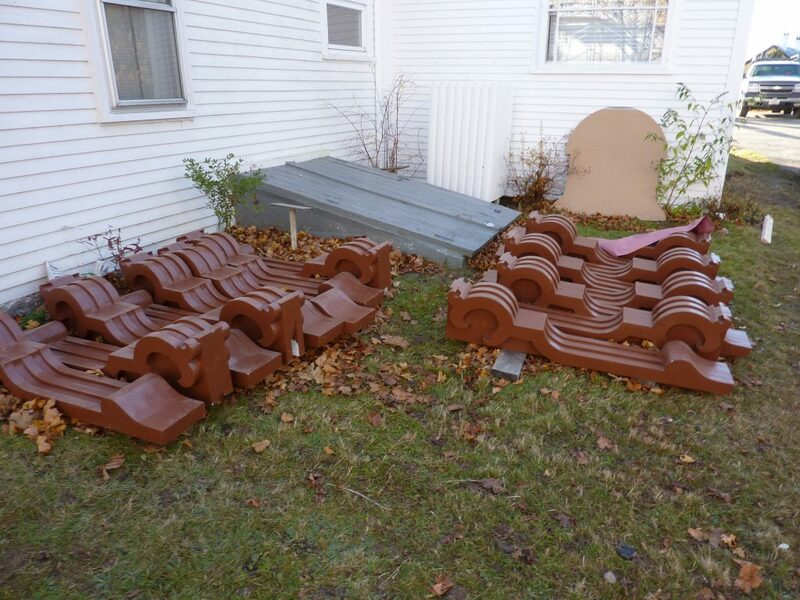 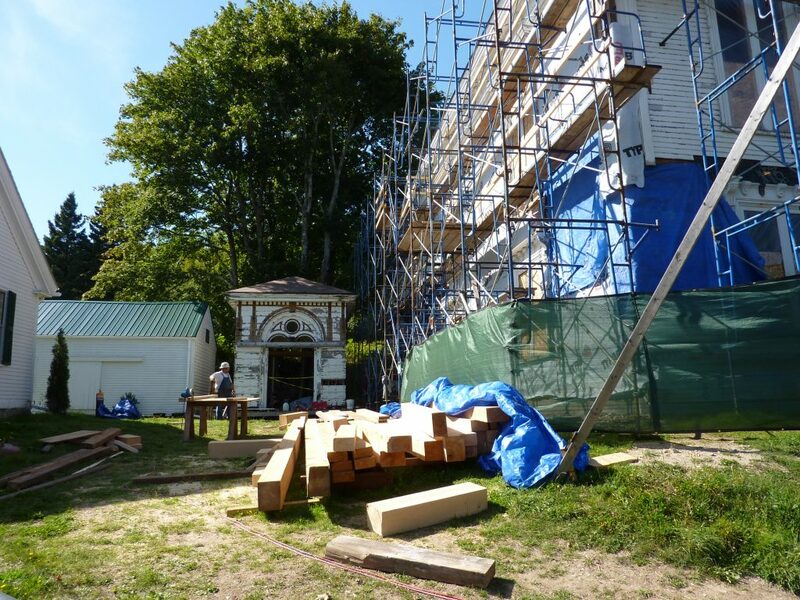 The Friends of Liberty Hall hired John and Al to restore Machiasport’s abandoned Town Hall. 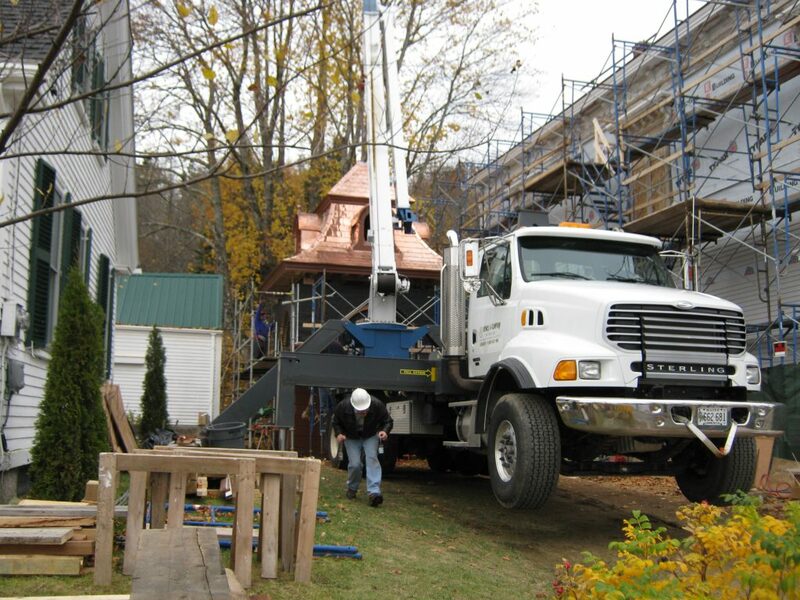 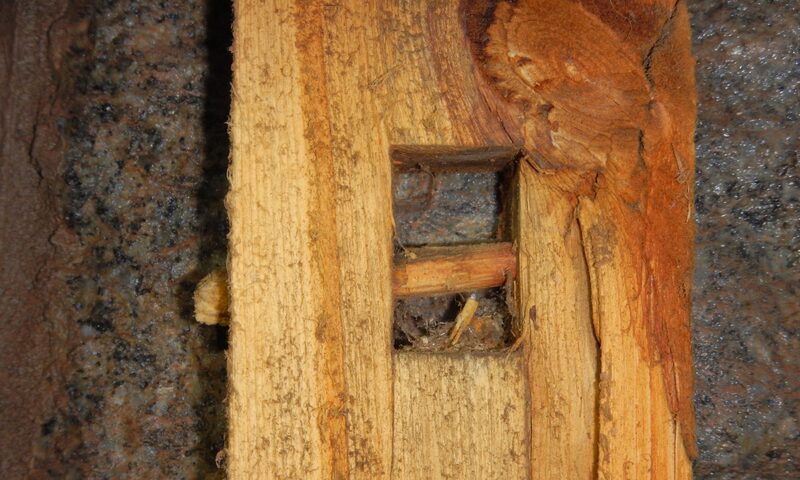 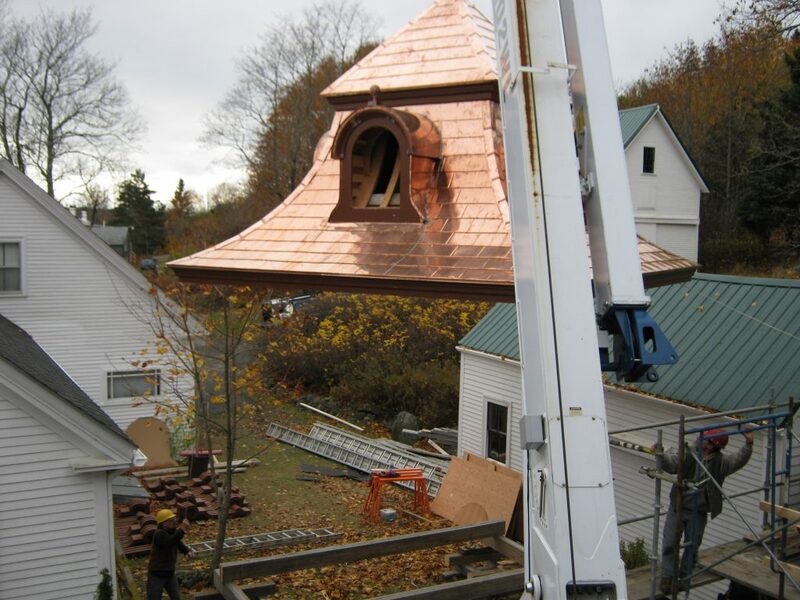 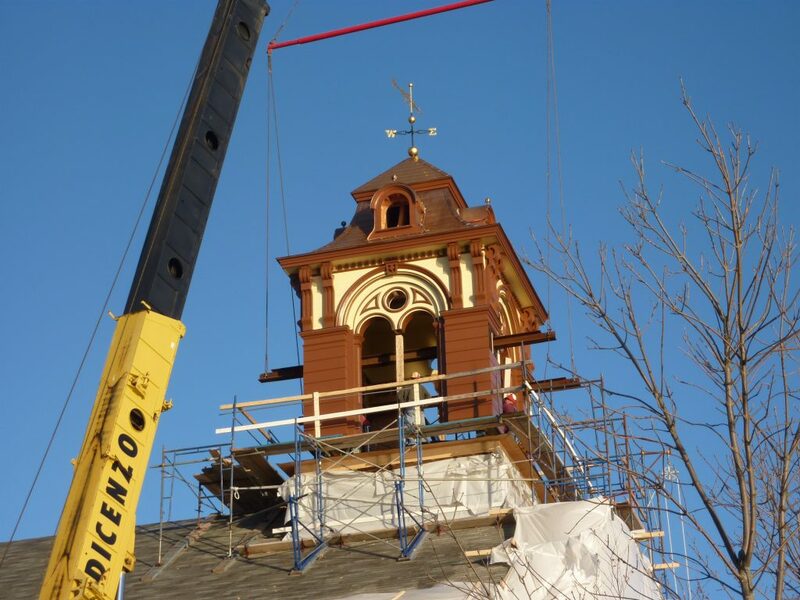 The first phase included a CDBG funded project to remove and preserve the remnants of the belvedere and to reroof the building and provide a functional means of diverting storm water from the building. 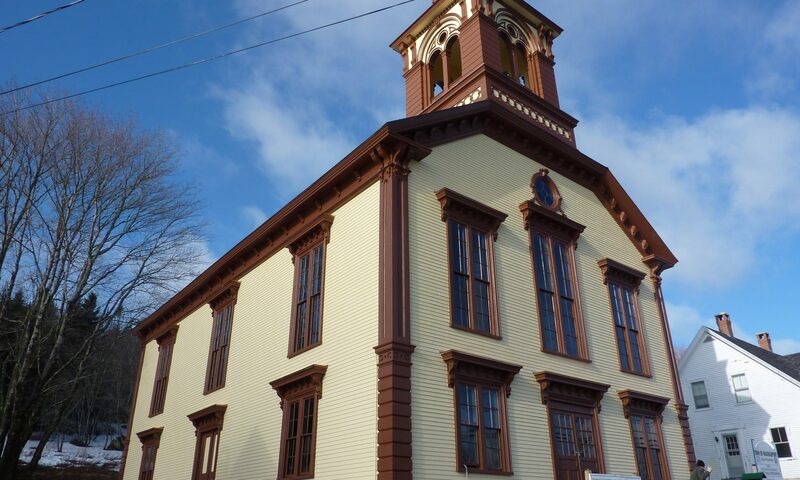 The Friend’s Group was successful in obtaining a Belvedere Restoration Grant which enabled the full exterior restoration of the building to its 1888 appearance. 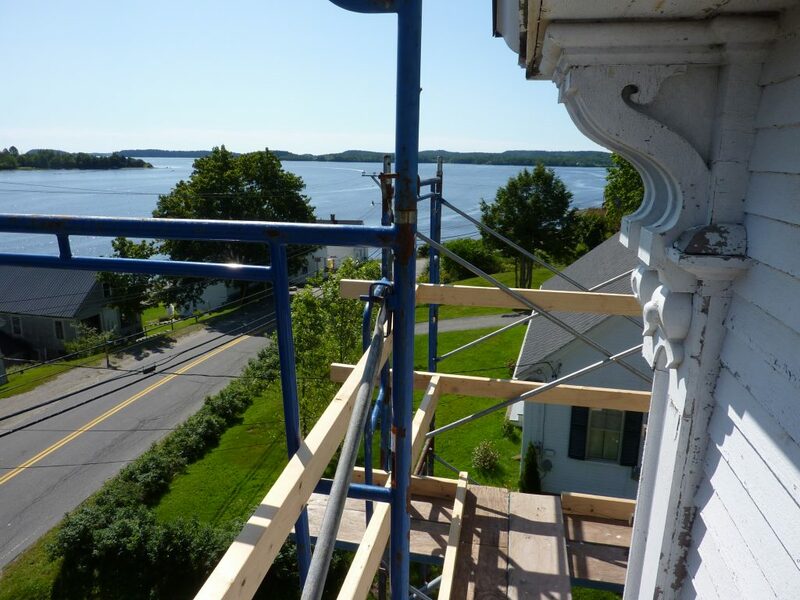 Work included radical structural intervention to save the building, restoration of all original ornamental trim and clapboards as well as the re-creation of the Italianate Belvedere. 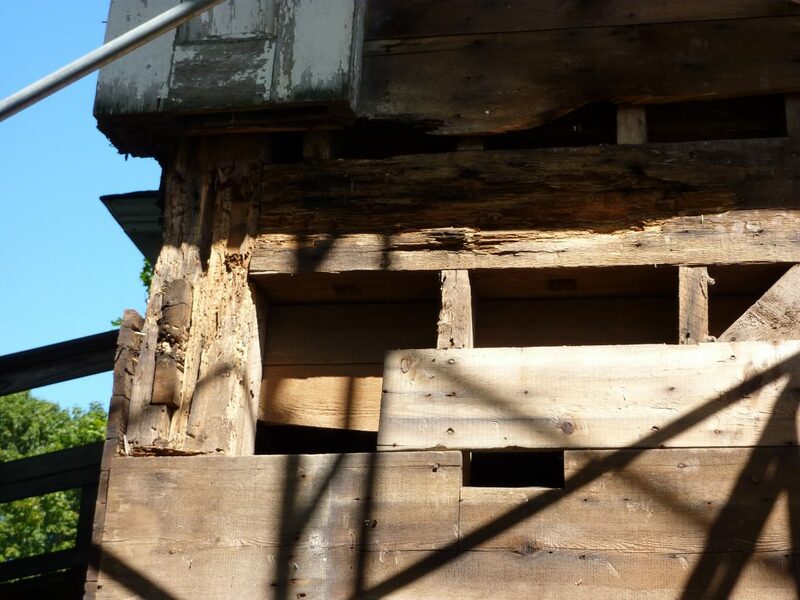 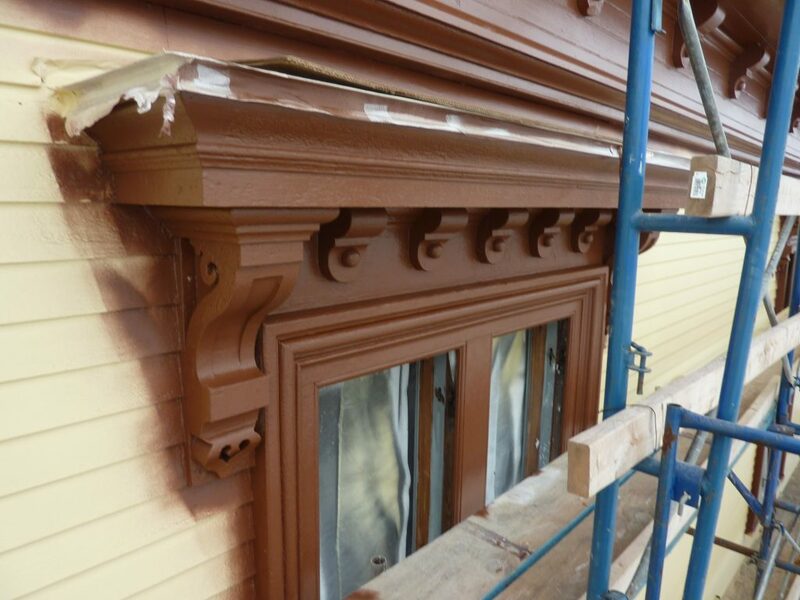 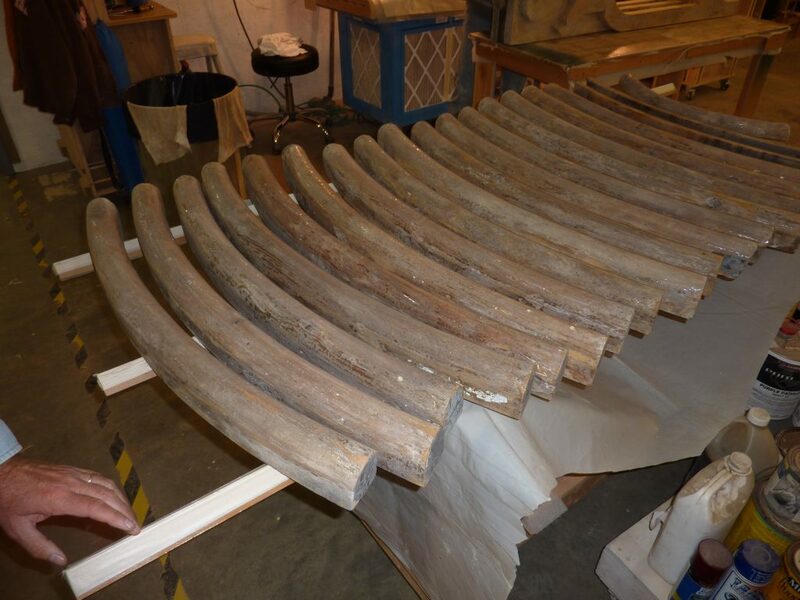 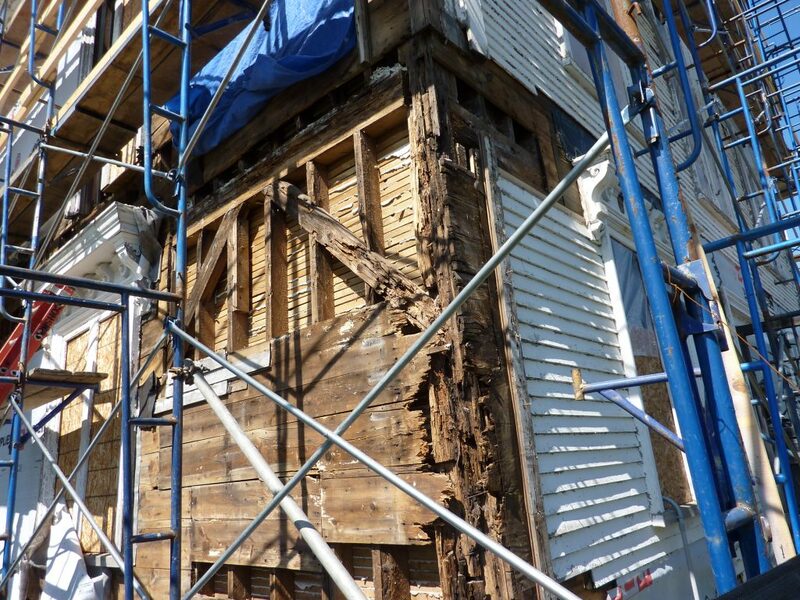 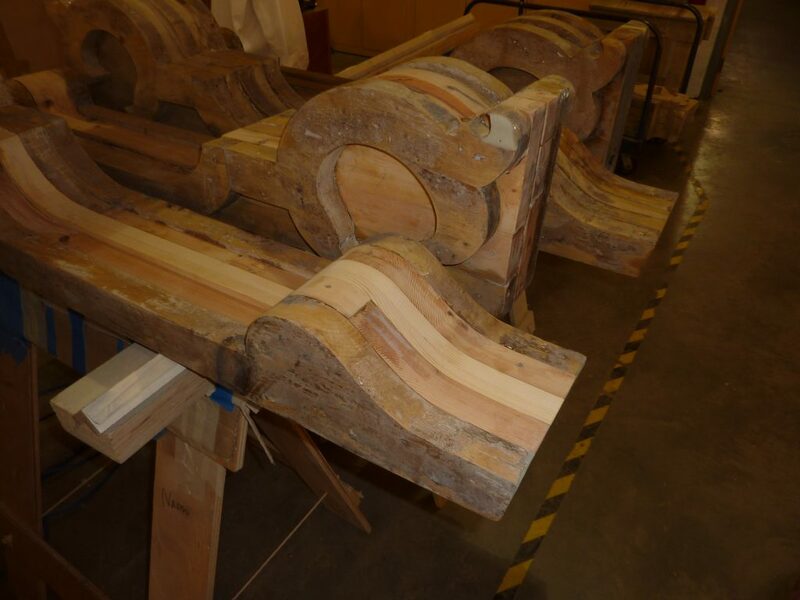 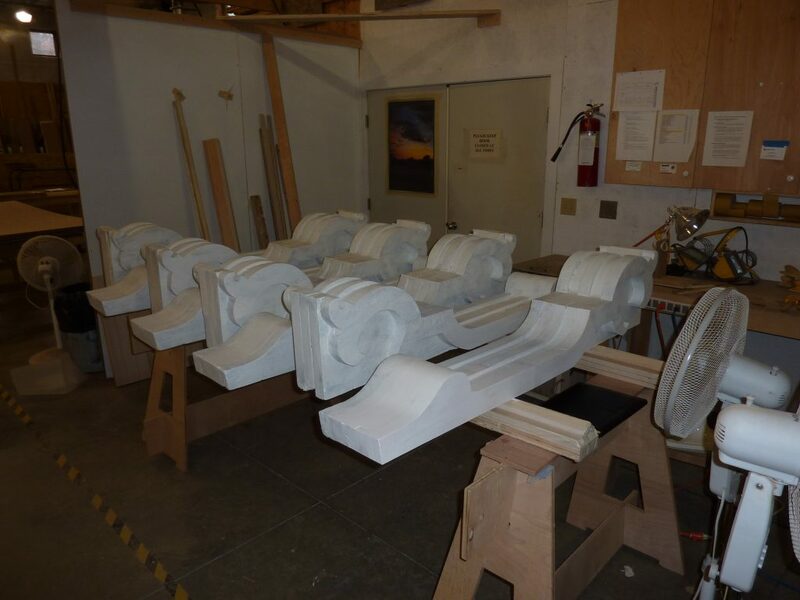 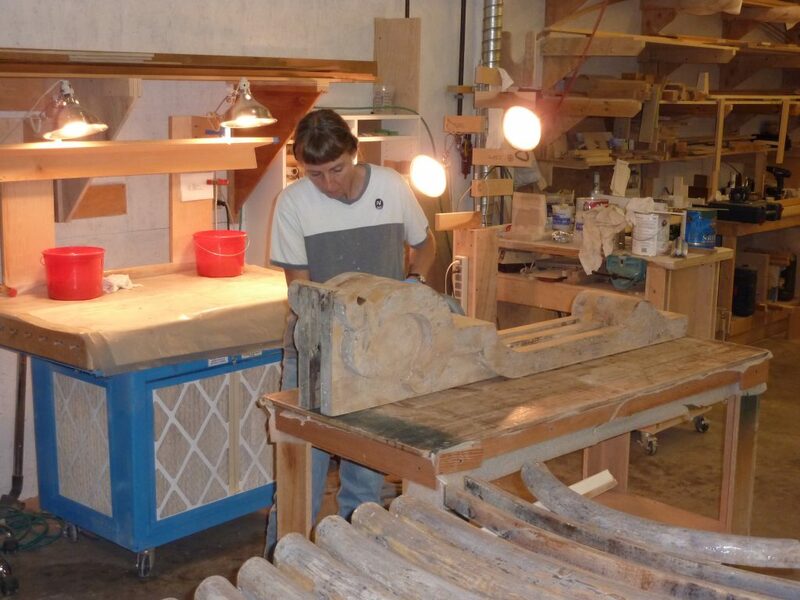 The restoration results is a testament to the tenacity of Machiasport’s Friend’s Group.